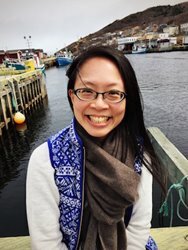 Dr. Catherine Mah has accepted an Associate Professor position (Faculty of Health) and will be working out of the School of Health Administration commencing July 4th. Dr. Mah holds funding from the Canadian Institutes of Health Research, Health Canada, and the Leslie Harris Centre of Regional Policy and Development. Prior to her appointment at Dalhouise University, she was Assistant Professor of Health Policy at Memorial University and is appointed at the Dalla Lana School of Public Health at the University of Toronto and the Centre for Addiction and Mental Health. She is a former member of the Toronto Food Policy Council and a founding member of the St. John’s Food Policy Council. Dr. Mah will be teaching Managerial Epidemiology (HESA 5320) in the MHA program beginning January 2018. Welcome!